Bogota has a strong commitment to arts and culture and has a family of museums that would rival most international cities. Its controversial history and diverse culture mean that there is a museum or art gallery for almost every traveler’s interest. Colombia has been a fortunate area because it has preserved centuries of anthropological and geological treasures. Whether it be pre-Colombian, Republican or modern much of its history is in great shape and presented in interesting locations. Many of these galleries and museums are found in the area known as La Candelaria. This region is historically important as it once was the site for the attempted killing and subsequent escape of Simon Bolivar. In addition, the execution of female revolutionary Policarpa Salavarrieta is thought to be the start of the revolution. Walking between the cathedrals and museums you can see the history and culture displayed on the walls in the form of street art. There is no better venue to see pre-Colombian gold artwork than at the gold museum at the Banco de la Republica. This museum houses the most famous jewelry exhibits worldwide with its collection of gold and emeralds. In fact, there are roughly 30,000 pieces to see on display. The most comprehensive museum on the national history and identity of Colombia, if you attend during the week you will inevitably run into school children learning about their heritage. One of the oldest museums in the Americas, it was initially established in 1823 in another location. In 1946, the museum was moved to its current location, which was once used as a prison for both men and women. There are currently 17 permanent exhibitions with over 2,500 pieces for visitors to view. While only Spanish is available, if you are looking to get a better understanding of Colombia's history, the museum shares the passage in chronological order with an impressive collection of pottery, weapons, everyday tools, and jewelry. The Museum of Modern Art has had many homes over the years since its establishment in 1955. The current building houses 4 floors of modern art, which may seem daunting but it is just over 5000 square feet it is quite manageable. If you are a fan of Colombian art there is a good collection of work from Barrios, Grau, Ana Mercedes Hoyos, Manzur, Manzurillamizar, and Negret. The Museum of Modern Art is one of the few places you cannot take photos. 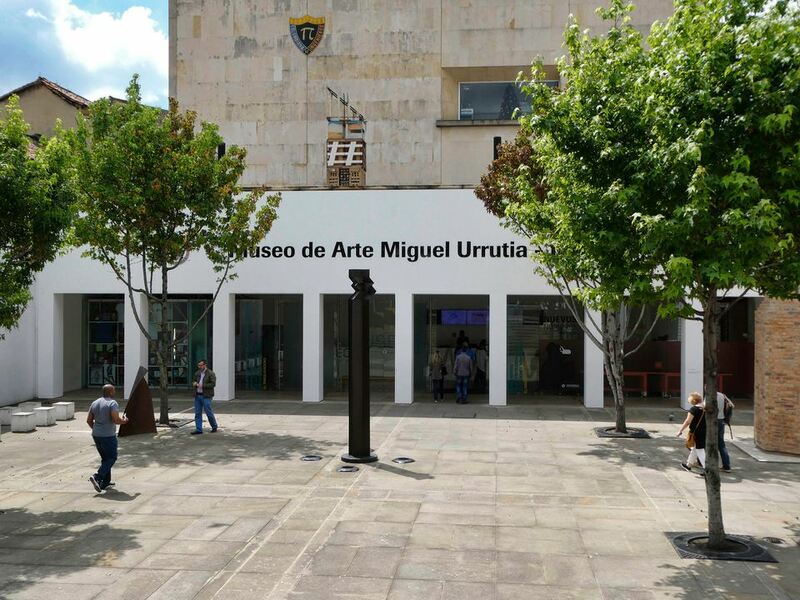 These two museums are in a cluster and belong under the Banco de la Republica Art Collection. The Casa de Moneda houses a collection of Colombian coins and provides an overview of the history of money in the country and how it was made. The area is often known as the Botero Museum as it is the draw for art lovers, especially those who could not make it to Medellin - the home of Fernando Botero. However, most of the work belongs to Botero, who is generous with both his own work and that in his collection. Here there are almost 3,000 paintings and sculptures of Latin American artists, the majority of whom are Colombian; however, it is also possible to view Dali, Picasso, Monet, Renoir, and others. If you venture out to the courtyard you will see the newest and most modern addition, which was created in 2004. The third building features modern art, with interesting temporary exhibits from around the world, including Mexican Pop Art. It's a nice change if you are tired of the historical work. Even if you are in Bogota just for a short visit, you are encouraged to take the time to explore at least one of the city’s museums and to take home some of Colombia’s rich cultural and artistic heritage.